Due July 31, the project features a companion disc of bonus material, including an unreleased rough mix of every track from the original album with early versions including working titles such as “The Hook” (“All My Love”), “The Epic” (“Carouselambra”) and “Blot” (“I’m Gonna Crawl”). 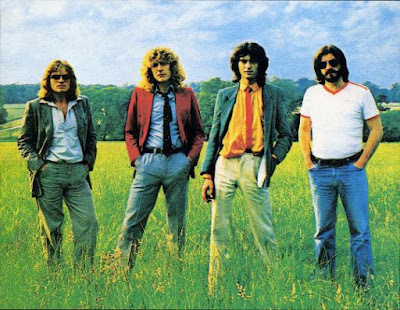 Led Zeppelin’s eighth album, “In Through The Out Door” hit No. 1 on both sides of the Atalantic, topping the UK charts and the US Billboard 200 on its way to selling more than 6 million copies in the States alone. Led Zeppelin launched the extensive reissues series last June with their first three albums, “Led Zeppelin I”, “Led Zeppelin II” and “Led Zeppelin III”; it continued last October with “Led Zeppelin IV” and “Houses Of The Holy”; and was followed by “1975’s “Physical Graffiti” this past February. NOTE: Access to the audio premiere is restricted in some territories at source, beyond hennemusic’s control.